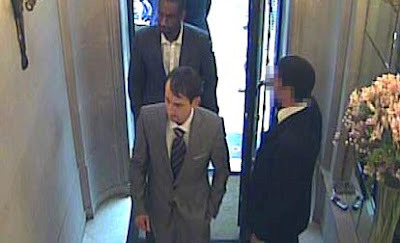 The Graff Diamonds robbery took place on 6 August, 2009 when two men posing as customers entered the premises of Graff Diamonds in New Bond Street, London and stole jewellery worth nearly £40 million (US$65 million). 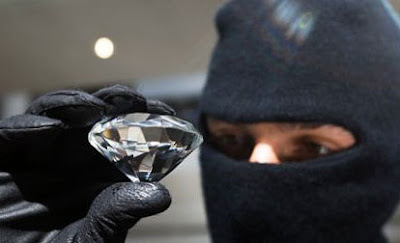 It was believed to be the largest ever gems heist in Britain at the time, and the second largest British robbery after the £53 million raid on a Securitas depot in Kent in 2006. The thieves' haul totalled 43 items of jewellery, consisting of rings, bracelets, necklaces and wristwatches. Britain’s previous largest jewellery robbery also took place at Graff's, in 2003. The men arrived at the store by taxi and once inside produced two handguns which they used to threaten staff. They made no attempt to conceal their faces from the premises' CCTV cameras, and police later discovered th at they had used a professional make-up artist to alter their hair by using wigs, their skin tones and their features using latex prosthetics. The artist took four hours to apply the disguises, having been told that it was for a music video. Viewing the results in a mirror, one of the men commented: "My own mother wouldn't recognise me now," to which his accomplice is reported to have laughed and replied: "That's got to be a good thing, hasn't it?" The same make-up studio had unwittingly helped disguise members of the gang that robbed the Securitas depot in 2006. A female member of staff was briefly held hostage as they exited the premises, at which point they fired a shot, although nobody was injured. Having released her they then escaped the scene in a blue BMW vehicle. This vehicle was abandoned in nearby Dover Street, where a second gunshot was fired into the ground while the robbers switched to a second vehicle, a silver Mercedes. They again switched vehicles in Farm Street, after which there was no further information regarding their whereabouts. All of the diamonds had been laser-inscribed with the Graff logo and a Gemological Institute of America identification number. 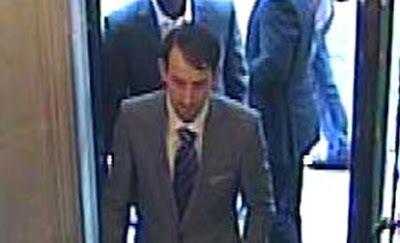 Detectives investigating the robbery stated: "They knew exactly what they were looking for and we suspect they already had a market for the jewels." The suspects' details were circulated to all ports and airports but police believed they would have an elaborately prepared escape route and had already left the country. The robbery was being investigated by Barnes Flying Squad, headed by Detective Chief Inspector Pam Mace. The Most Of The Most Expensive Weddings!! The Top 10 Most Expensive Domain Names! The most expensive fish in the world. World Most Expensive blog ($15M)!! !